The benefits of youth development voyages, otherwise known as “Sail Training: are generally agreed internationally to develop confidence, leadership and teamwork skills for the young people that participate on voyages. The most comprehensive evidence to support this is a survey commissioned by Sail Training International and carried out by the Edinburgh University in 2007. 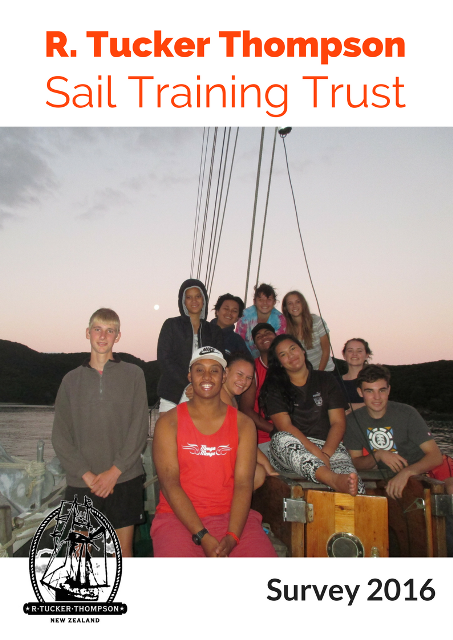 At the end of January 2014, the R. Tucker Thompson Sail Training Trust embarked on their own survey to assess the effectiveness of their programmes. The first survey spanned the years 2009-2013 and collected data from students where it had been some time since their voyage. Since then, we have been surveying students between 1-3 months after their experience, and the result of the most recent, as well as the comparative data from the past 2 years is provided in our 2016 survey. The results remain fairly consistent year on year and clearly indicate that the experience is making a big difference to the students, particularly in the area of confidence. There are clear examples of long term career decisions and life changes that have benefited students greatly. More recently, the University of Otago is researching the benefits of this approach on the resilience of young people. Promoting positive youth development in Māori and New Zealand European adolescents through an Adventure Education Program (AEP): A pilot experimental study. In 2017, the University of Otago carried out research into the benefits of youth development voyages on board the R. Tucker Thompson. This built on research carried out on other educational programmes, but there was a particular focus on assessing the benefits on young people from low socio-economic backgrounds, particularly young Māori adolescents. The evidence suggests that for Maori students in particular, placed based programmes have a significant impact on resilience and self esteem. 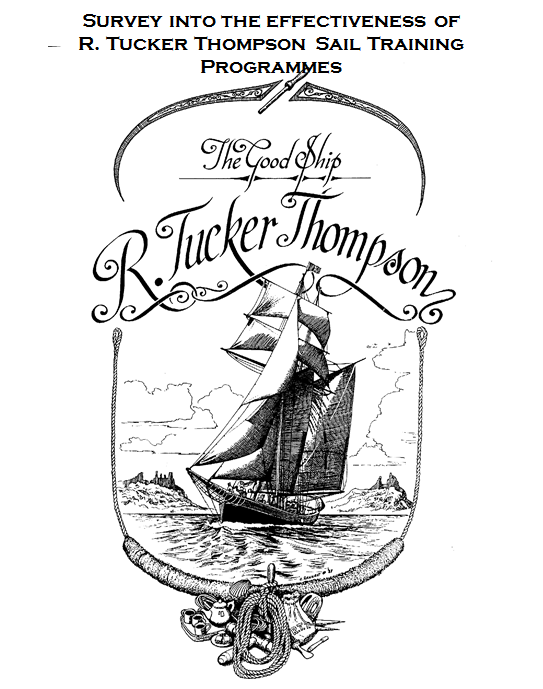 In 2017 the R. Tucker Thompson carried out a survey among teachers to what they felt where the key benefits of student participation as well as establish what barriers existed to students accessing voyages. There was strong support that the benefits of the voyages were long term, that there was significant improvement for students that participated in confidence and social skills and the biggest barrier to access was cost. If you would like to sponsor a child, or make a donation to assist with funding, there are plenty of ways you can help. Check out our sponsorship page to find out how. 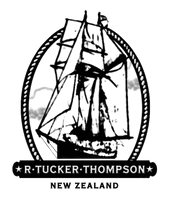 Parents agreed:My son’s experience with the R Tucker Thompson was a huge help in both behaviour and initiative to work with others likewise at home. Confidence that will last throughout their lives “He has developed a yes it can be done attitude and his school grades and involvement in sports and other community activities continue to amaze us. It seems like a short time ago but it is over three years since he was on board the Tucker T.